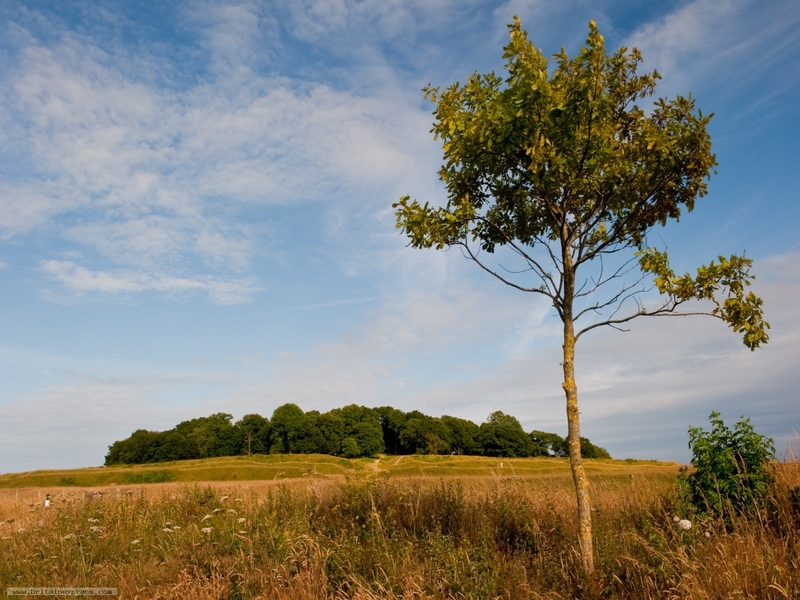 Badbury Rings is a huge hilltop settlement surrounded by a series of earthworks. The Rings were occupied over centuries, possibly from as early as 2000 BC. The Rings are located just north of the B3082, in the grounds of the National Trust's Kingston Lacy estate. This is the view from the Trust parking lot just west of the Rings, as the sun was goiung down over my shoulder.